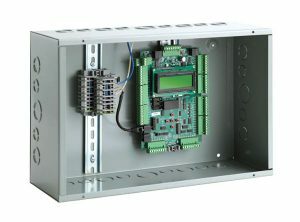 The Group Controller operates a Smart Hall Call ETA-based logic. All cars connect back to the group. Application: Coordinated dispatching of multiple cars. Traction and Hydraulic from 2 to 8 car group.